Incredible long lake view and gorgeous sunsets from this 2-story, 3 bedroom single family home. Light, bright and spacious with high volume ceilings. Master bedroom on first floor as well as an optional master bedroom on second floor. Membership optional. SchoolsClick map icons below to view information for schools near 23501 Butterfly Palm Court Boca Raton, FL 33433. 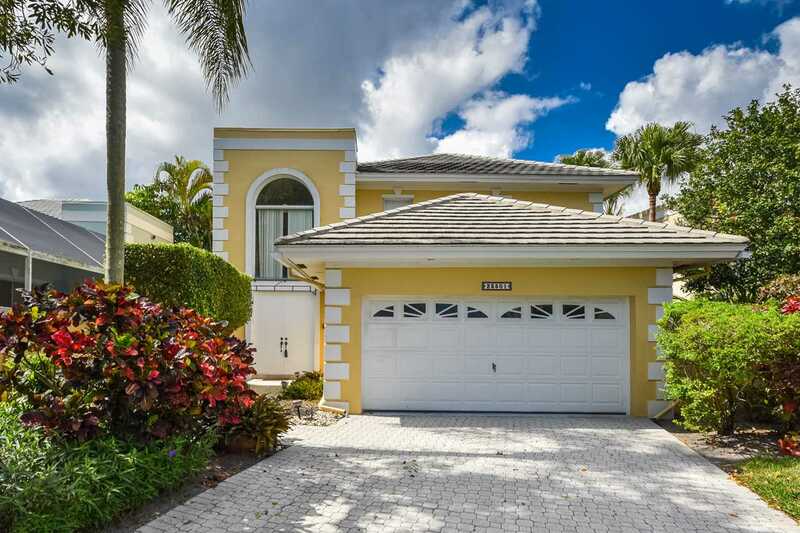 MLS # RX-10500907: This property at 23501 Butterfly Palm Court, Boca Raton, FL 33433 is located in the Palms At Boca Pointe subdivision and is listed for $355,000. MLS # RX-10500907 has been on the market for 84 days.